Once the tools have been imparted, the scientific method provides a platform for immersing your self in the natural world more deeply, and allowing the creativity of the imagination to reach its apex. A science teacher, in this sense, is the one who reveals the grand wonder of the natural world to the student, and imparts a process for experiencing nature more fully. Children have a natural inquisitiveness, and a great potential to allow their imaginations to guide them into deeper and deeper levels of inquiry and observation of the natural world around them. This sense of wonder and inquiry that characterizes youth is a great resource for any field biologist, inspiring them to investigate their surroundings with a probing curiosity. There is literally no limit on what a scientist can arouse interest in and make the subject of further research; one is only limited by their own sense of wonder. 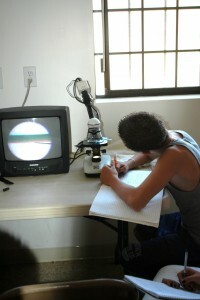 In this sense, children have a unique capacity to take the world of natural science to its highest point. Good field science not only involves collecting, organizing and analyzing date; but requires a healthy and vivid imagination in order to notice the interrelationships between various patterns, and their hidden implications. Therefore, natural sciences can be seen as the ideal platform to allow the imagination to reach its fullest potential as the catalyst for scientific discovery. 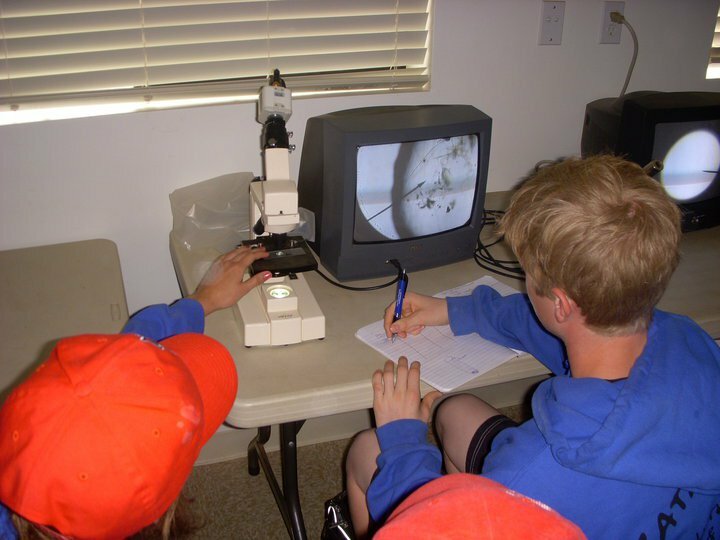 Once the basic foundational scientific methods and practices have been learned, youth can then apply their curiosity and intrigue for exploring nature in a way that is most fulfilling. The main tool field biologists use to achieve this is the field journal, which allows them to apply the scientific method towards organizing the revealing the patterns of their observations. 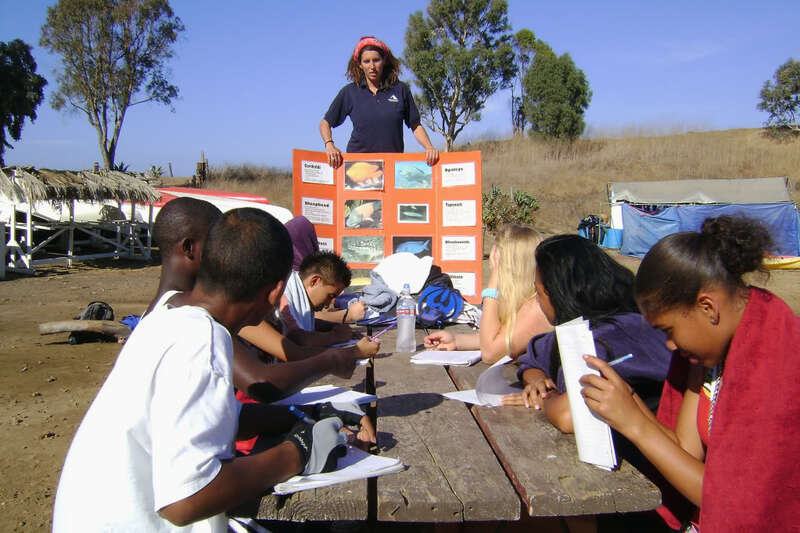 One of the first things students learn when they embark on their outdoor education experience at science camp with Mountain and Sea Adventures is how to keep a field journal. This is kept with them for the duration of their stay, and quickly becomes one of their most valued possessions. Students develop a personal attachment to their field journals once they begin recording their findings, theories and thoughts. The MSA staff encourages students to develop thoughtful conclusions and a hypothesis for each program activity they participate in. This single week at camp provides a lifetime worth of inspiration and appreciation for field science, and demonstrates how to make the field journal a valuable addition to their lives as they learn to observe, ponder and describe their natural environment more and more acutely. 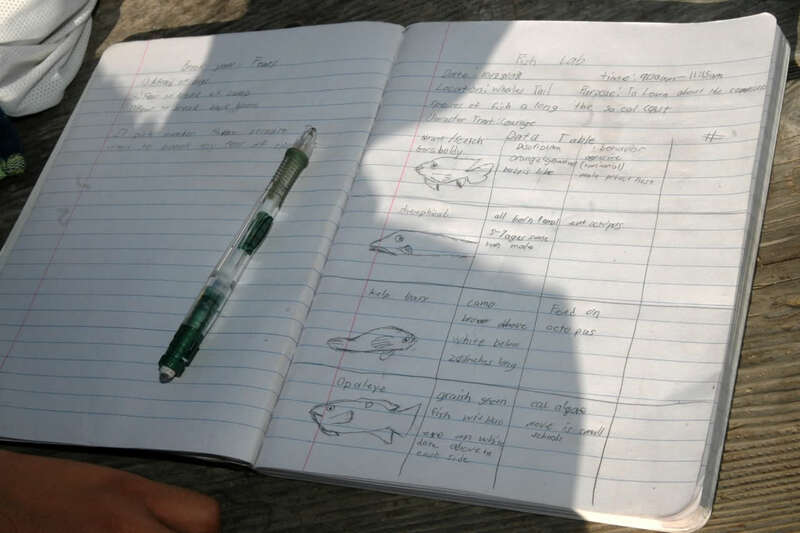 Now that your students have discovered the value of keeping a field journal, you can structure opportunities for them to become increasingly more immersed in the fascinating world of natural sciences. Gradually students discover just how fun and exciting learning really is, when they are given the reins to their own process of scientific exploration and discovery. Now you are entering a very exciting level of science education, where the most mundane and over-looked specimen can become the subject of deep inquiry and investigation. The caterpillar crawling along the window seal, or the condensation gathering on the outside of a student’s water bottle. Every thing that we commonly take for granted and fail to notice can become the topic of great interest, as students observe, notice patterns and interrelationships between habitat factors, and use their critical factor to develop their own theories about what they have seen. Once you begin opening your eyes to the resources and opportunities everywhere around you, you and your students will discover there is no end to what you can become curious about and make the topic of further scientific investigation. One of the most important understanding to impart to students is that not only is science not a cold analytical process relegated to sterile laboratory environments, but it is an approach to experiencing life more intimately, observing your surroundings more keenly and applying your imagination to it’s fullest potential. 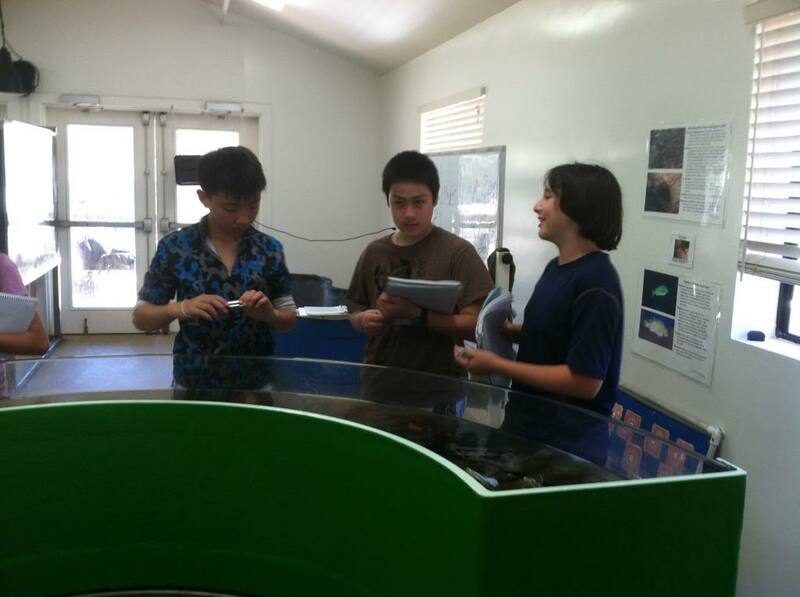 The world of natural science is full of adventure and excitement, where youth can take their own ideas and theories about the world and apply them for real tangible results that they can actually observe for themselves. 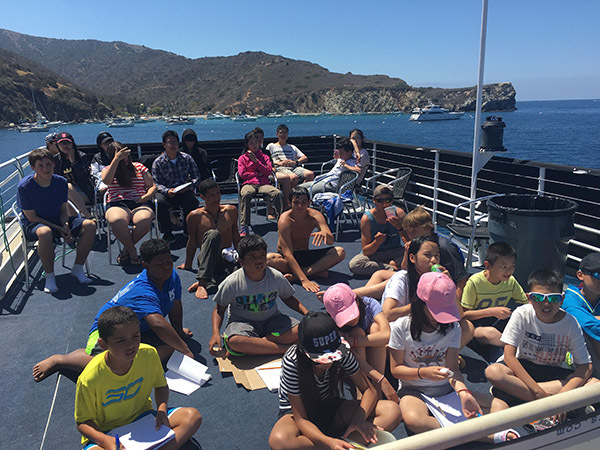 What is it about coming out to science camp on Catalina Island with Mountain and Sea Adventures (MSA) that excites students, and sparks a lifelong love for the marine environment and world of natural sciences? Outdoor education merely teaches youth how to open their eyes to perceiving the grand beauty of the natural world all around them. Field science becomes the vehicle for students to immerse themselves deeper and deeper in their awe-inspiring surroundings. Soon any aversion to academic learning is replaced by an ever-increasing urge to enjoy the fun activities of their outdoor educational experience. 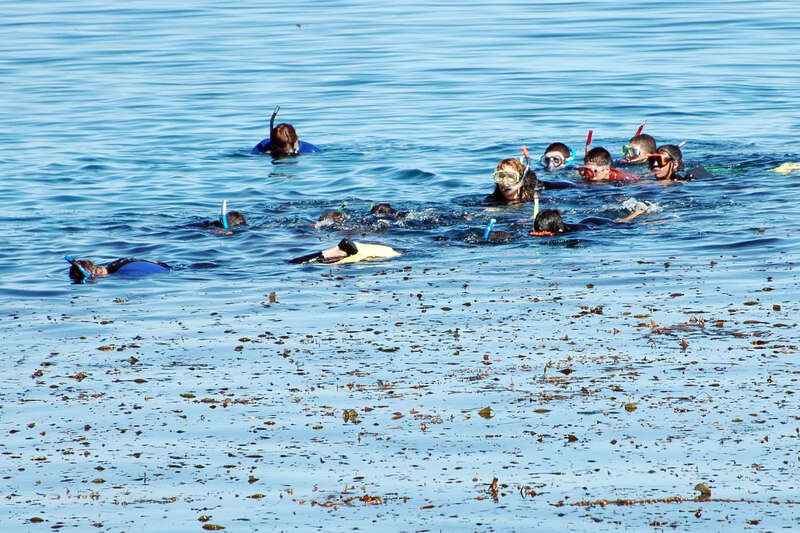 In this sense, outdoor education is one of the most important academic experiences for youth, for it reveals to them that learning is not only fun, but also one of the most exciting endeavors they can embark upon. Children love to play and make believe, exploring and discovering their environment in a way they never tire of. 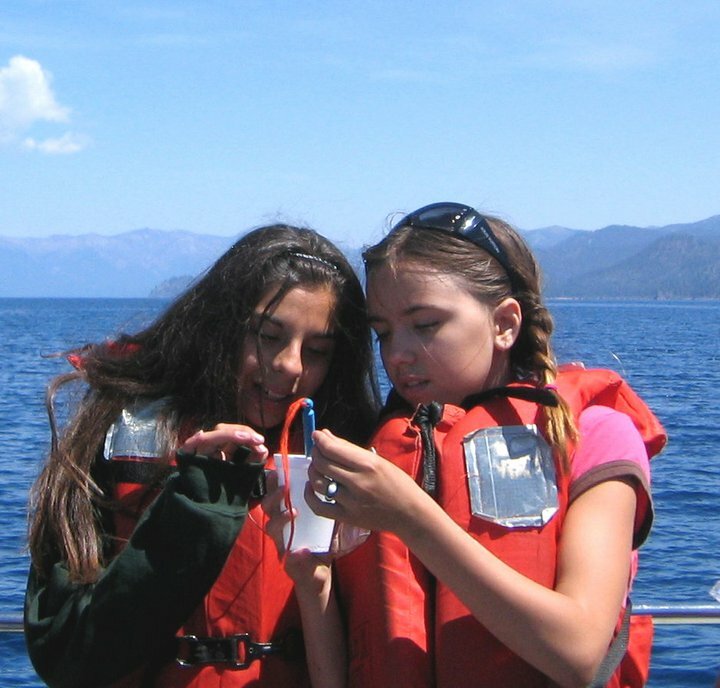 Natural sciences takes this exploratory sense of adventure in youth to its zenith, by showing them that there are no limits to what they can discover and learn through their own field research. The scientific method is the process of learning to ask the right questions, to have that same sense of wonder that a child has, so that you can set all your pre-existing ideas aside and arrive at your own understandings based on your own experience. In fact, science is the last frontier of creative thought – where the inventive imagination of the left-brain meets the intellectual analysis of the right brain. Rather than teaching your students that science is about definite laws, encourage them to see science as a field of limitless possibilities where they can bring their ideas and theories into the material world. The beautiful thing about studying natural sciences is that you do not have to wait until you are in a nature preserve or other exotic location to begin immersing your students. In fact, the natural world is all around us, all the time! Even when sitting in the classroom, the natural world is still unfolding its wonder. 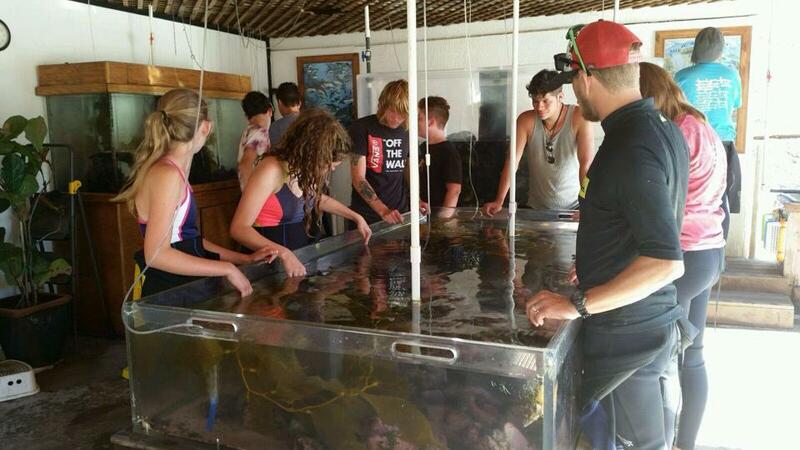 Of course, you don’t have to stay in your classroom; even a short visit to your sports field or one of the plazas on your campus can be an exciting opportunity to immerse them in field biology. 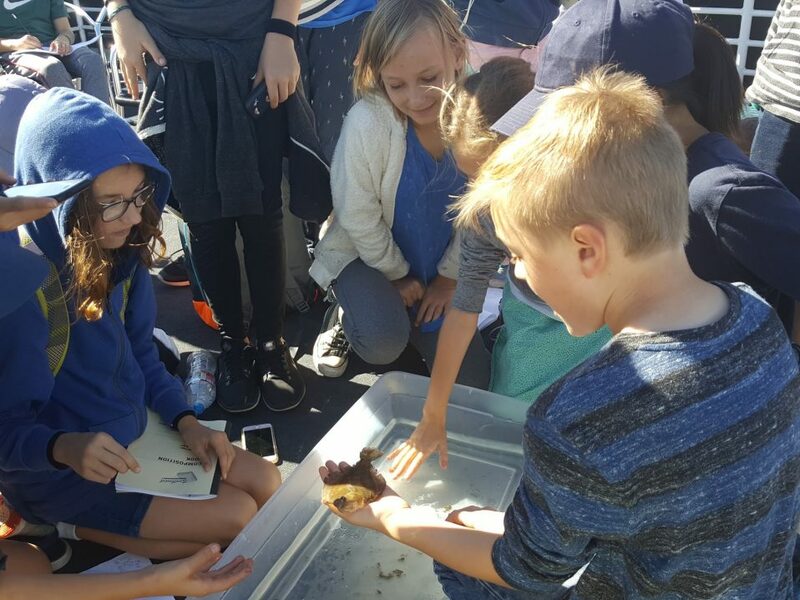 Just a few visits to the natural surroundings in their own school campus can prime your students for more, empowering them to begin seeing the world around them through the eyes of a field scientist. 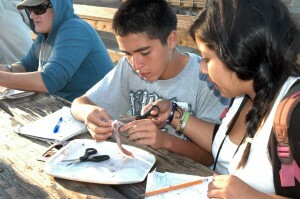 By the time your students make it out to camp Emerald Bay on Catalina Island, or Camp Oakes in Big Bear, they have a head start on field biology that allows them to take full advantage of their incredible resources at camp, and to enjoy MSA’s life changing program to its fullest potential. 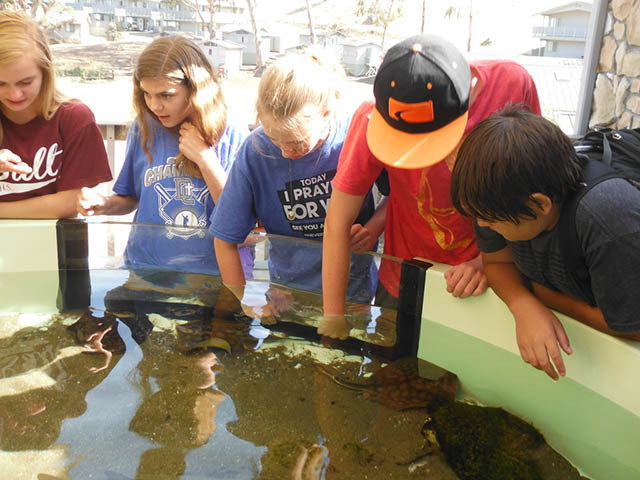 By the time your students complete their camp experience and return to school, they have had their perspectives and ideas about science transformed. Science has now become a living breathing part of their life, a tool that they can use to increase their love and appreciation of the natural world. Natural science does not begin when the school bell rings, and it does not end when they leave campus at the day’s end. 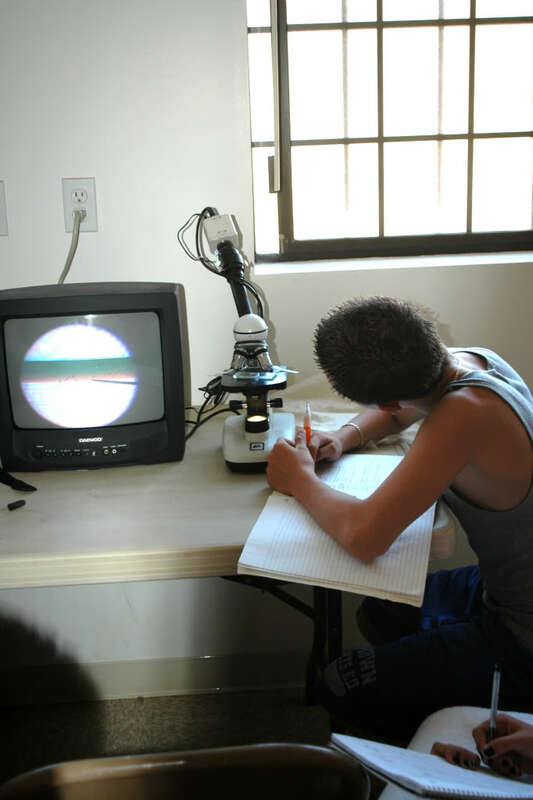 When given the right perspective by their teachers, youth can come to see how their entire life is a laboratory for scientific research and experimentation. How To Build Intrigue For Environmental Science In The Heart Of Your Students! Children love to play, but what if they could be taught to play in a way that enriches their encounters with the natural world and empowers them to bring their imaginative creations and thoughts to life! Science is the bridge between fantasy and reality. The imagination is the first and most important laboratory for any scientist, no matter what their field of expertise. It is in the imagination of the scientist that the most important data, the results to experiments, and other various factors are put to the test. The truth is, science is where the wonder that comes so naturally to children is kept alive, and is the platform that allows that wonder to be sustained and truly blossom. Science in and of itself is exciting enough as it is, a science teacher does not need to do so much to make science more exciting, they only need to reveal to their students that when they wake up to seeing the magnificence of the natural world around them, there is truly nothing more exciting than science! The scientific method is a model for absorbing your self completely in the natural world, developing a more sensitive and acute perception of nature, and intensifying your interactions with that through heightened awareness, sustained observation, and controlled experimentation. One of the first lessons that inspire students to think outside the box regarding the world of science is the understanding that science is fueled by, and facilitated by a strong and active imagination. Especially in the modern context of particle physics, quantum mechanics, string theories, etc., a vivid imagination is more important that ever. Many of the greatest and most profound discoveries in the field of science were first born in the imaginations of the minds of the individual scientists, who then experimented and applied their abstract mental visions to the practical material world. This process of experimenting and observing the results of your own visions is about as exciting as bringing the make believe world of fantasy into the living breathing dimension of reality! Imagine the thrill of scientifically proving that a vision you had in your imagination is accurate, tangible and real! A scientist is taught to ask questions, and to use deductive reasoning to separate fact from fiction. Each individual observer is urged to stand on their own two feet and use their own mental faculties to derive their own personal conclusions. This is incredibly important for the intellectual development of each individual student. Rather than merely memorizing facts and regurgitating the same information that was spoon fed to them, students learn how to view things objectively, how to organize and process information, and to observe and scrutinize the testable factors through controlled experimentation. Once the first epiphany regarding the intellectually empowering aspects of science has been realized, the student of natural sciences now begins to perceive and experience the world around them differently. Now they are able to fully utilize the potential of the human brain, and tune the instrument of their mind to perceive the patterns in nature to subtler and finer degrees. When one learns to observe their natural surroundings from the perspective of a field biologist, the endless wonder and excitement of life is ever present. It is this very sense of wonder that is the natural domain of the scientist, who uses this wonder and curiosity to explore and derive their own logical explanations and physical demonstrations. The scientific method is nothing less than the process of bringing the dimension of abstract mental thought to concrete material reality. One completely immerses themselves in the observation of patterns and interrelationships between the various factors influencing the object of their research. Once enough data has been collected and analyzed, one can begin deriving his or her own conclusions by utilizing the greatest tool for any scientist, the imagination. In the imagination of the scientist various possible theories are developed. The scientist will test a theory by formulating various hypothesis, a projected result or expectations, and updating it with the results of various experiments. When a hypothesis has been adequately tested and proven, it then becomes a theory. Law: A final statement based on continued experimental observations that explain some phenomenon of nature. A law involves a description about how something, but not necessarily why it happened. Example: Newton’s First Law of Motion. The best way you can impart a passion for natural science in your students is to fuel your own passions and interests first and foremost. The more excited you get about science, the more you are able to convey the true spirit of science to your pupils. 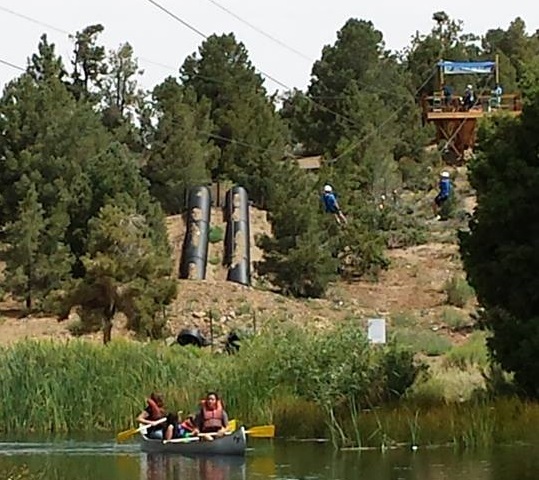 The main motto at Mountain and Sea Adventures (MSA) is “break your fears”! We encourage youth to face their fears and inhibitions and take action steps towards overcoming them. When youth realize they can achieve what ever they set their focus on, it empowers them to have the courage to set dreams and goals, and work diligently towards achieving them. Fear is natural, and is there to protect us, however some fears are rational, whereas others are not. Being afraid is okay, but being controlled and making your life decisions based on that fear is detrimental towards reaching our full potential in many ways. Being courageous is the main character trait we focus on because it is the value we use to develop all the others. In the process of developing perseverance, honesty, and other altruistic traits, we must take up courage again and again. Going beyond what you previously thought was possible for your self is very empowering and uplifting, and reminds you that you truly can achieve what ever you set your goals on. 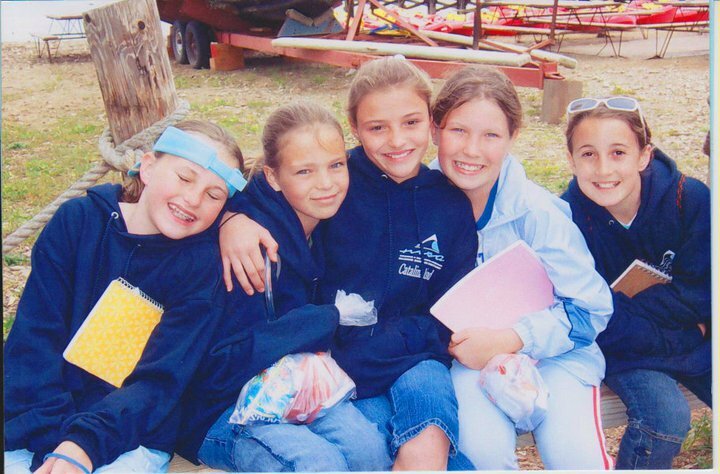 Camp gives students the structured opportunities to overcome fear and aversion, and the experiences that improve their self-image and esteem. They return to their home environments with a renewed sense of self worth and confidence. Dream Big and Reach For The Stars! Each of us is capable of achieving greatness. One of the most courageous acts of all is to truly believe in your self, reach for that greatness and refuse to settle for less. To let our natural talents blossom and give fruit, require a certain amount of self-love and acceptance. MSA’s highly inspirational youth camp programs impart the experiences that build high self-esteem and develop a healthy amount of self-love. From here, the sky is the limit! 5 Fun And Incredible Facts About Dolphins! Dolphins are among natures most beautiful and intelligent animals. 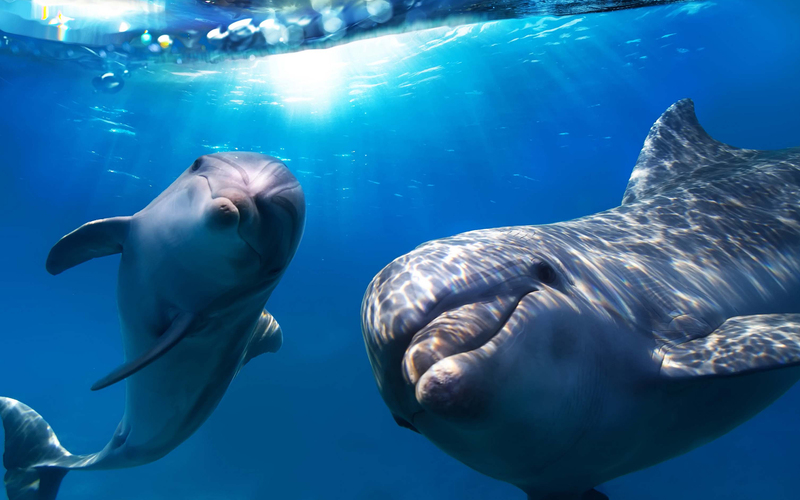 Humans have always seemed to have a kindred connection with dolphins, and they also seem to take a keen interest in us, as well. Here are five fun and incredible facts about our playful cetacean friends! Dolphins are extremely smart animals that also display social structure and culture, something that was long believed to be unique only to human beings. Pods are matriarchal, with the eldest grandmother being the head of the pod. Dolphin pods can be told apart from each other by learning to detect small nuances in their clicks and whistles, which is a part of their communication patterns. These nuances are similar to accents in human beings, and display that dolphins have a similar aspect to their own ‘language’. #2) Dolphins Use Tools for Hunting! Dolphins have been seen teaching their young how to use tools, such as sponges, which they cover their sensitive snouts with to protect them while foraging for food. Dolphins have developed many highly evolved forms of communication. They use what is known as a “signature whistle” that allows each individual to recognize each other. #4) Dolphins are Compassionate and Altruistic Animals! Dolphins have been known to help and rescue injured humans in their greatest hour of distress. They have also been known to help other injured and weak dolphins to the surface to breath. Their compassion is not limited only to other dolphins. There are many examples of times when dolphins have helped humans and even whales. #5) Dolphins Love To Play And Goof Off! Dolphins have always been known to be extremely fun-loving, playful and even curious animals. 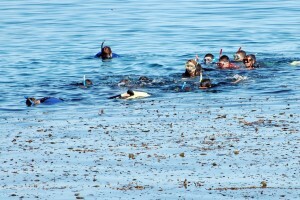 They often times play-fight with each other and also play games with seaweed. Dolphins even love to play with other animals such as dogs.